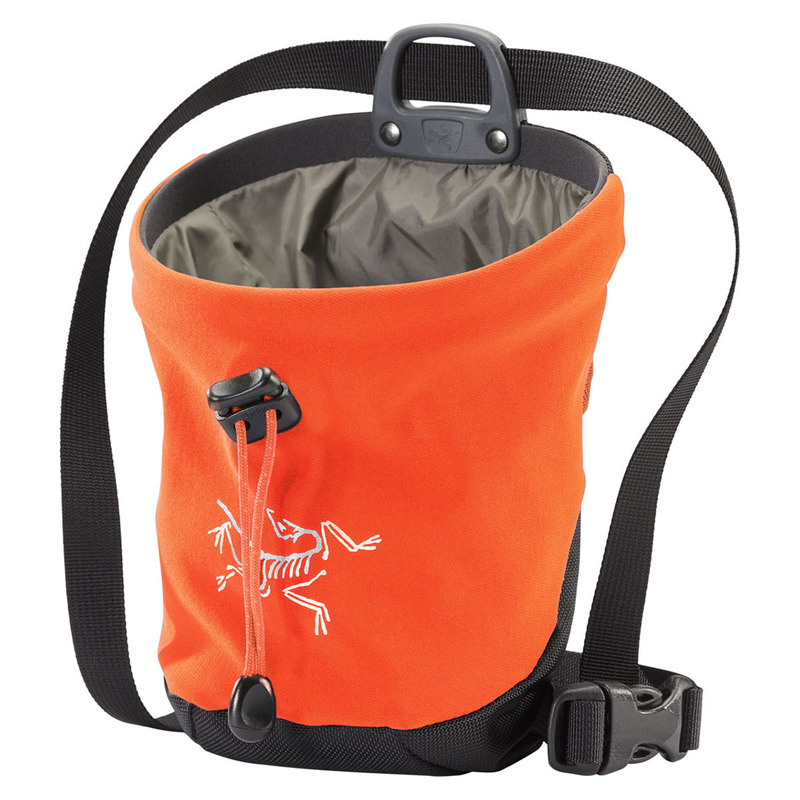 The Arc'teryx C40 Chalk Bag is a high quality chalk bag that's durable and supple. It's made from a Burly™ Double Weave four-way stretch fabric (which is the same material used on Arc'teryx's softshells) along with a heavier weight N420p Nylon Oxford material on the base. It also features a soft fleece lining from the textile experts at Schoeller® and an injection-moulded belt attachment to help prevent it from tearing off. All of these features make the C40 Chalk Bag as hard-wearing as possible to survive abusive climbing and give it an extra long lifespan.